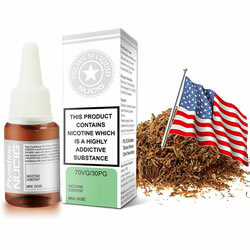 Try our Green Label USA Mix eliquid flavour, it is a perfect blend for the perfect vaping experience. 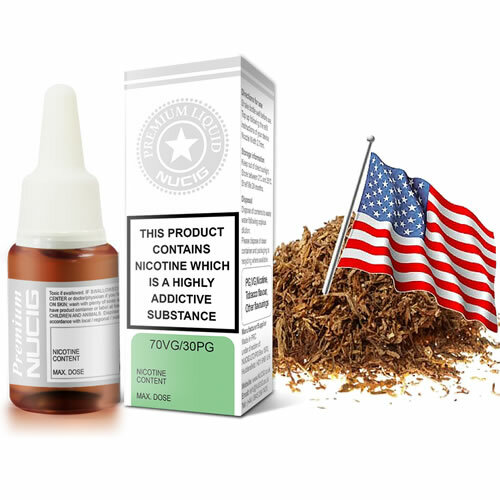 NUCIG Green Label USA Mix eliquid contains only the purest and highest quality pharmaceutical grade ingredients and is for those who prefer extra smooth draw. Exclusive MaxVol™ technology delivers a smoother, richer maximum volume smoke (vapor), providing a satisfying rich tobacco flavour. Specially formulated to extend the life of your electric cigarette atomiser, clearomiser and tank. My favorite all day vape. Have tried other brands but I just keep coming back for this as it is far superior. Well priced, packaged and delivered within 48hrs - all perfect thanks. I've been a Nucig user for well over a year now. Although not the cheapest on the market it's the closest flavour to my kind of tobacco I have found. I'm a throat to lung vaper and this is ideal, just the right kind of hit. I do wish though that with today's top filler tanks that the spout was a little bigger so the liquid flowed a bit easier. That said I can't see me changing my E-liquid any time soon. I have been trying to cancel order for the last 3 month,plus a full refund.